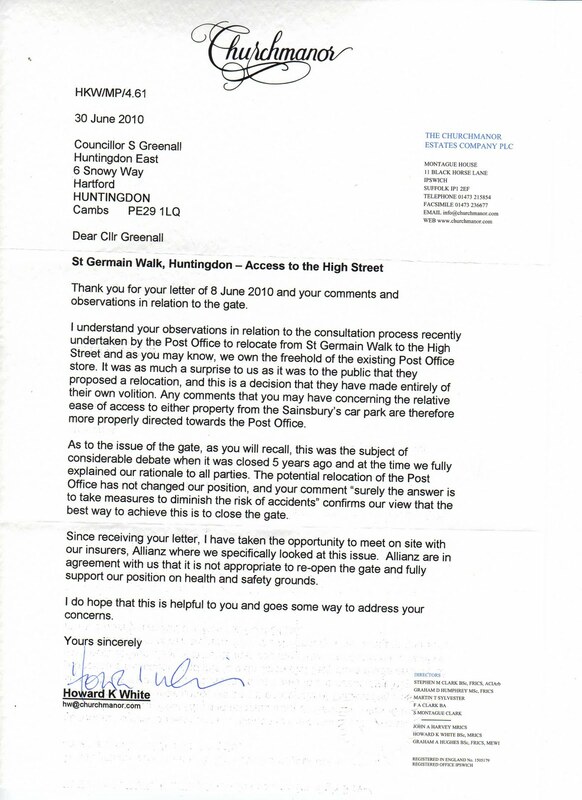 Well, it was hardly a surprise when I received a reply to my letter to Churchmanor that they aren't about to re-open the gate across St Germain Walk. Shame, but that's the way it goes. 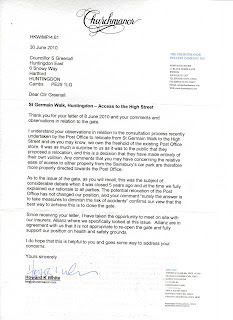 Churchmanor's view clearly differs from that of many people in Huntingdon, including many who voted for me, but what surprised me in the letter was Churchmanor's attitude to the Post Office (who currently rent a property of which Churchmanor hold the freehold (as stated in the letter). Some people might suggest that Churchmanor aren't too happy at losing a client, but I couldn't possibly comment.